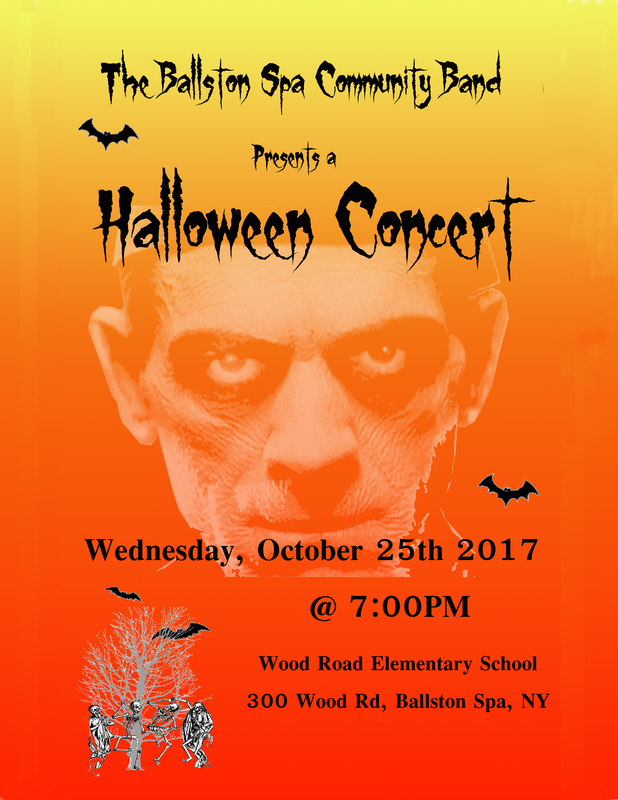 The annual Ballston Spa Community Band Halloween Concert will be held on Wednesday, October 25, 2016 at 7pm in the Wood Road Elementary School Cafetorium. The Ballston Spa Community Band provides a fun opportunity for adults to play their instrument with others who also love to play! Students have been invited to play along with the adult band members during this special concert. This year, over 40 costumed band members, including current students, will play annual Halloween favorites. Trick-or-treating will take place after the concert. Everyone is invited to enjoy this festive evening with our Ballston Spa Community Band. Please plan to join us – costumes are optional.